Paytm E-Commerce Pvt. Ltd, the online marketplace arm of One97 Communications, is set to raise $200-252 million (Rs 1,350-1,700 crore) in an investment round led by Chinese internet giant Alibaba Group Holding Ltd, a major financial daily reported on Friday. The funding round, which marks Alibaba's formal entry in India's crowded e-commerce market, values Paytm's marketplace business at $1 billion, said a report in The Economic Times. Following the deal, the stake of Alibaba and its affiliate Ant Financial in Paytm E-Commerce will go beyond 50% from the current 41%, the report added. "The Alipay-Alibaba combine will now own over 50% in the unit," it cited a person privy to the development as saying, who added that the online marketplace business will be called either PayTM Mall or PayTM Bazaar. One97 Communications' existing shareholder SAIF Partners is also expected to participate in the upcoming investment round, the Mint newspaper reported. The closure of the deal is expected to be formally announced in coming weeks. Email queries sent to Paytm and SAIF Partners did not elicit a response by the time of filing this report. In August 2016, Paytm had created two separate entities, Paytm E-Commerce and Paytm Payments Bank Ltd, to run its e-commerce and banking services, respectively. At that time, people familiar with the development had told VCCircle that the objective behind the exercise was to help the new e-commerce company raise more investments from existing investor Alibaba. Jack Ma-owned Alibaba has time and again talked about its plans to enter India. In 2016, it said it was looking at opportunities to build the business organically or through other means. In fact, speculations were rife that the Chinese e-tailer would look for a standalone entry into India through an acquisition. When One97 separated its e-commerce operations from the mobile payment and commerce business, it hinted at the possibility of Paytm E-commerce getting acquired by Alibaba. The deal, if it happens, shows that Paytm will continue to be the vehicle for Alibaba's e-commerce play in India. Alibaba is also in the process of opening its first India office in Mumbai's posh business district, Bandra-Kurla Complex (BKC). For this purpose, it has rented 3,221 sq ft of office space at Rs 275 per sq ft per month. Even on the human resource front, Alibaba has been hiring people in India and quietly creating a team. In September, Priya Cherian, former director, human resources, Flipkart joined Alibaba as HR Head â€“ APAC. She is based out of Bengaluru, according to her LinkedIn profile. Alibaba also roped in Madhur Deep, former McKinsey and Goldman Sachs executive, as senior vice-president to lead its strategy and investment team in India. With telltale signs of Alibaba's direct presence in India in place, observers believe its entry will change the very contours of the Indian e-commerce industry. An India entry will also extend Alibaba's rivalry with Jeff Bezos-led Amazon to the South Asian nation. The deal is expected to shake up the e-commerce sector in the country, which is already witnessing a cut-throat rivalry between Amazon, Flipkart and Snapdeal. It would be rather interesting to see how Alibaba's India e-commerce play shapes up as it also holds a minority stake in India's third largest e-commerce player Snapdeal, a direct competitor of Paytm E-Commerce. Going forward, Alibaba could even look at merging all its e-commerce investments in India to become a larger marketplace. 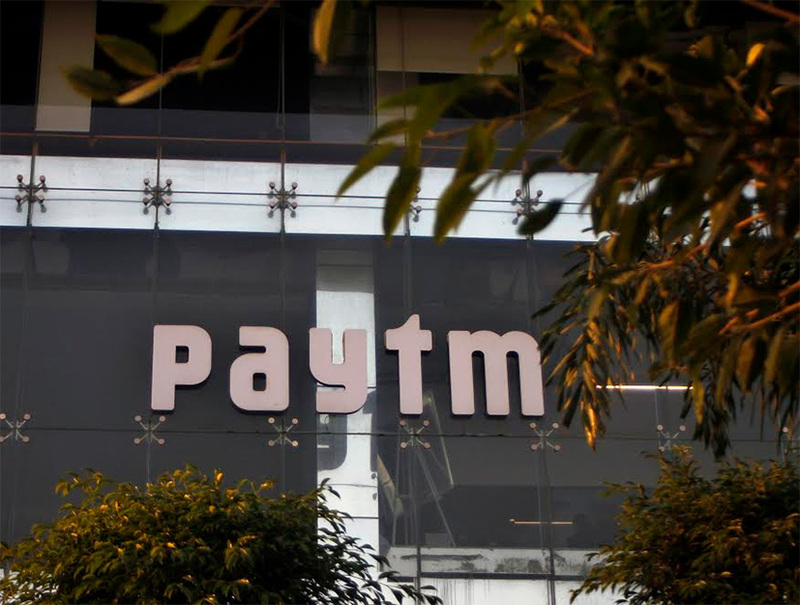 Recently, Paytm founder Vijay Shekhar Sharma, in an interview with TechCircle, had said that Paytm will be one of the two final winners in the Indian e-commerce contest that is being played out. "Marketplace is a very scalable business model while inventory-led retail is a very fast one to build and get certain GMV numbers, but it is tough to become profitable and expand. Our business is tough to start, but will have significant scale and margin later on. We have taken a longer haul journey in ecommerce. Since we find that it is becoming an independently sustainable business, we are making it a standalone unit. If we were to take a five-year forward view, we will be one of the final two marketplaces," he had said.